What's New in Zoho CRM 2017 - The Trainer's Advisory Network Ltd.
We are pleased to present to you Zoho CRM 2017 – which will help you sell smarter, faster and better. Smarter: Let Zia, your intelligent sales assistant suggest smarter ways for you to sell. Zia will tell you the best time to contact a customer, predict sales trends and suggest useful macros. Faster: Set up scoring rules to follow up with leads that have the greatest scores and close the most likely deals faster. Besides this, integrate Zoho CRM with Slack to get the sales context right on your chat window. Better: Build your business process using Blueprint to ensure that your teams follow best practices in your organizaiton. New features in automation include Blueprint and Scoring Rules. 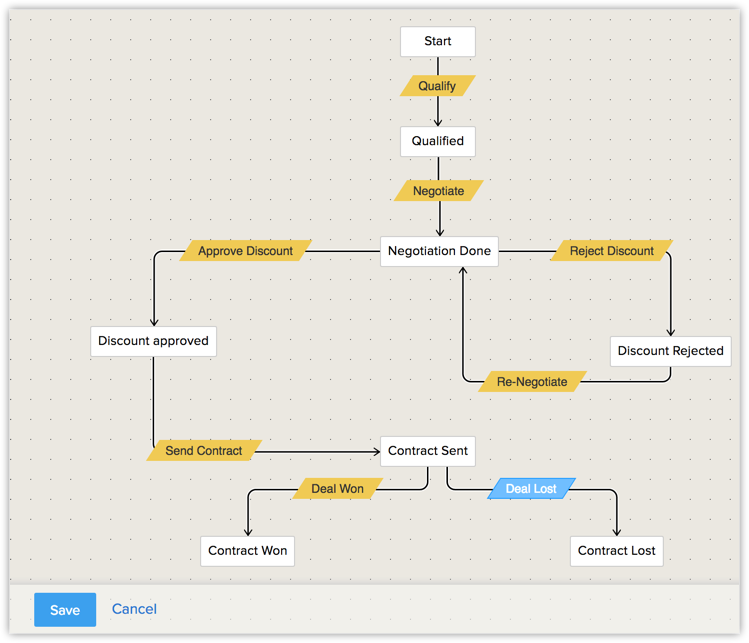 Blueprint is a feature that will let you design a process flow in CRM and define the manner in which it should be executed. It captures every detail of your entire offline process within the software. It facilitates automation, validation and collaboration of teams, thus making your process more efficient and free from loopholes. Scoring rules help you prioritize leads, contacts, accounts, and deals based on record properties like fields, calls, emails, social signals, etc. You can assign positive and negative points to each property while defining a scoring rule and all these individual points makes up to a total score dynamically when a record is created or modified. 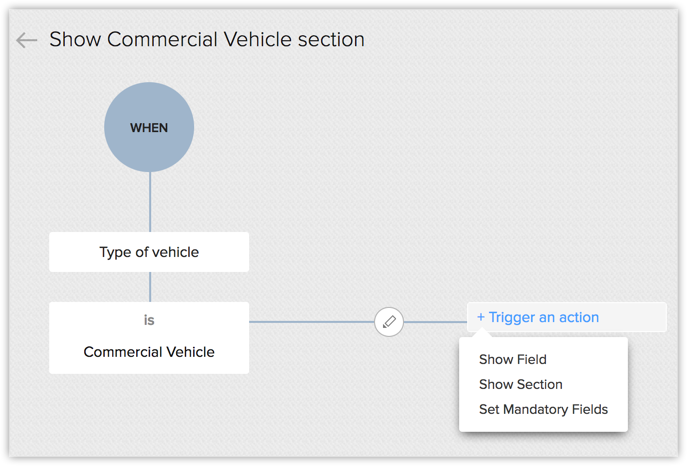 Conditional fields in Zoho CRM offer you an interface to manage dependency between fields in a layout. Now when you create a record in CRM, you will be able to achieve the following. Display/hide fields and sections based on a field value previously entered. Mark fields as mandatory only based on a field value previously entered. For example, in an Insurance policy module, you want to display the field “Guardian” only if the Applicant’s age is <= 18. This can be achieved with the help of conditional fields. Zia is an AI-driven sales assistant for Zoho CRM. She optimizes your CRM data through data mining and machine learning to deliver key business information such as sales predictions, suggestions and alerts. It is not only based on what goes into the system, but Zia even learns how each salesperson uses Zoho CRM for all her analyses. With Zia, you can understand your customer behavior proactively and deliver personalized marketing campaigns and services to improve your sales. Zia helps you with workflow related notifications to ensure no two workflow based email templates overlap with each other. Learn more . Also, Zoho CRM takes the usage of macros a notch higher by intelligently auto-suggesting macros that you could create based on your CRM activities. 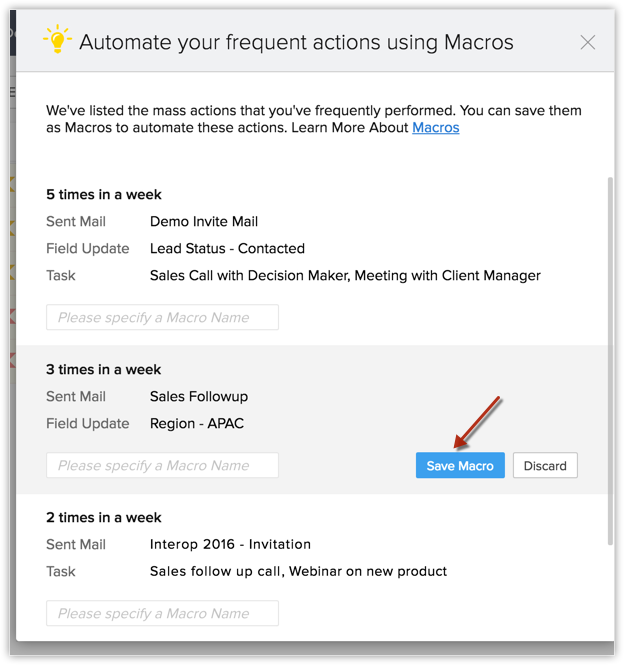 If you have been repeatedly performing the same set of actions over a period time on a bunch of records, Zoho CRM will automatically suggest that you create macros out of the actions. Learn more. With Best time to Contact suggestions by Zia, you can always be aware of the right time to reach your contacts. Powered by Artificial Intelligence, Zia lets you know of the best time to call or email a contact. Learn more. Zia brings Artificial Intelligence to your CRM analytics through Trend Analysis. 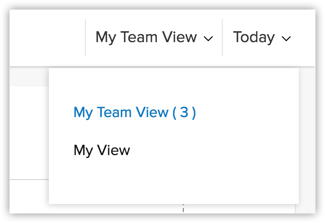 You can now see your business trends and teams’ performance though Trend Dashboard. Built on data from the past and current usage, the Trend Dashboard displays key sales metrics as patterns. Learn more. 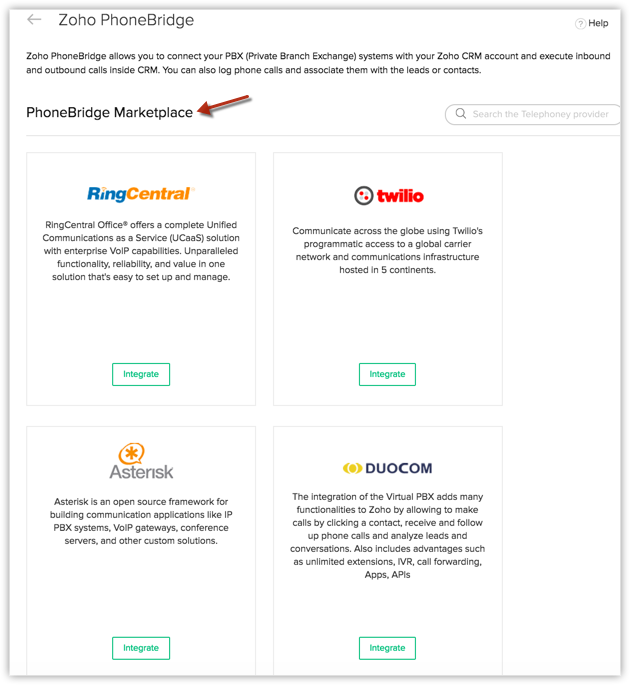 Choose from the diverse list of vendors in the Zoho Phonebridge Marketplace and integrate Zoho CRM with your preferred PBX system. Learn more. Share CRM information with your Teams on Slack, right from Zoho CRM’s screen. No more switching between tabs or booking meeting rooms to have sales discussions. 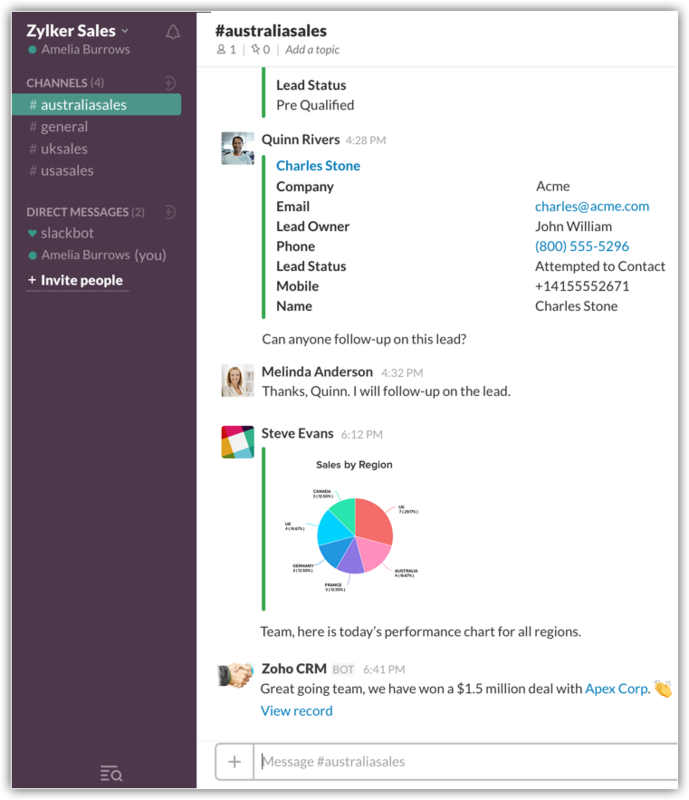 Zoho CRM for Slack offers you a sales context to your Chat window. Cut down on the time taken to organize meetings and converge faster right via your Chat windows. Learn more. 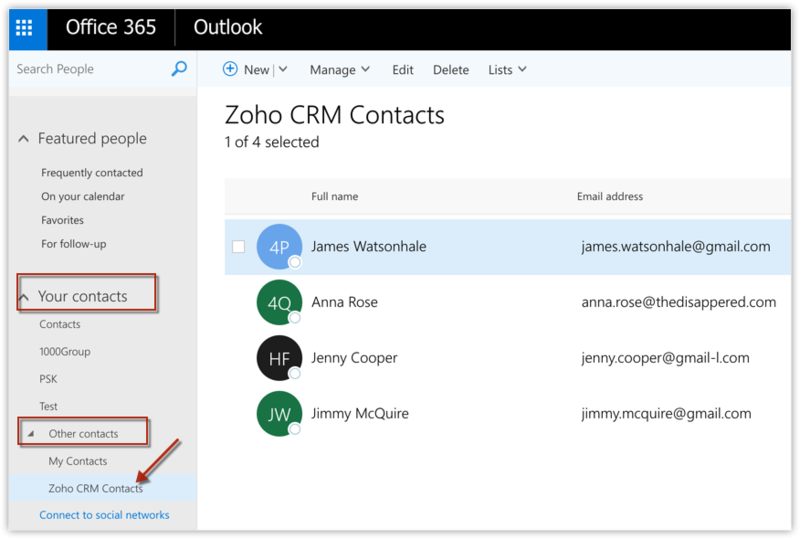 Zoho CRM for Office 365 now lets you sync your contacts from Zoho CRM to Office 365 and vice versa. Learn more.